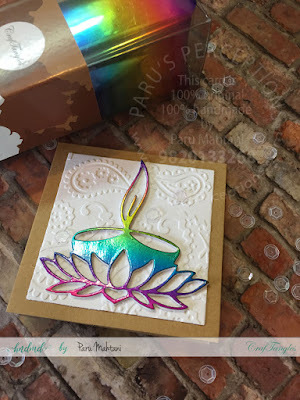 I have been addicted to foiling ever since Craftangles has released their brilliant foils! Here are some Diwali cards and tags that I have made using these foils. 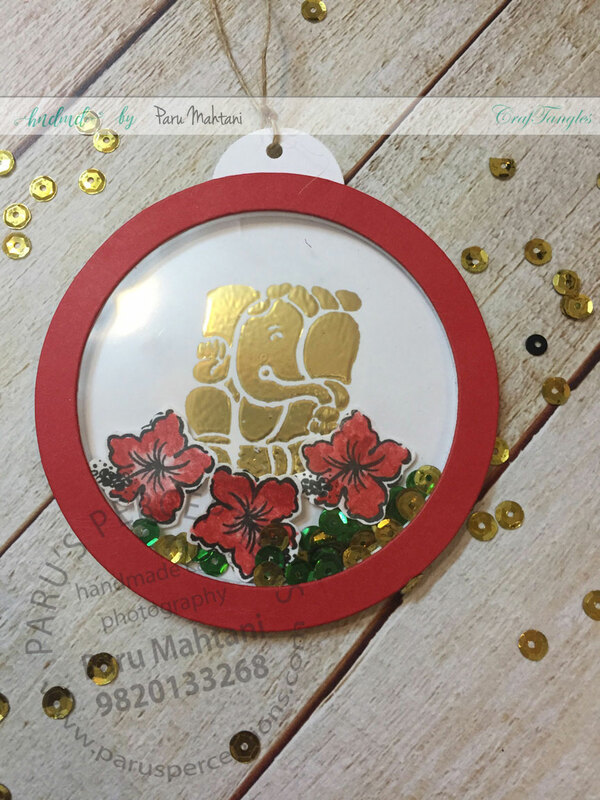 To make the shaker tag below, I have heat embossed the Ganesh image with clear embossing powder before using the gold foil. After many trials, I found that I must ensure that the clear embossing powder is even and not splotchy. Only then does it get covered evenly with the foil, when put through the laminator. There has been a lot of discussion about the way to apply the foil. 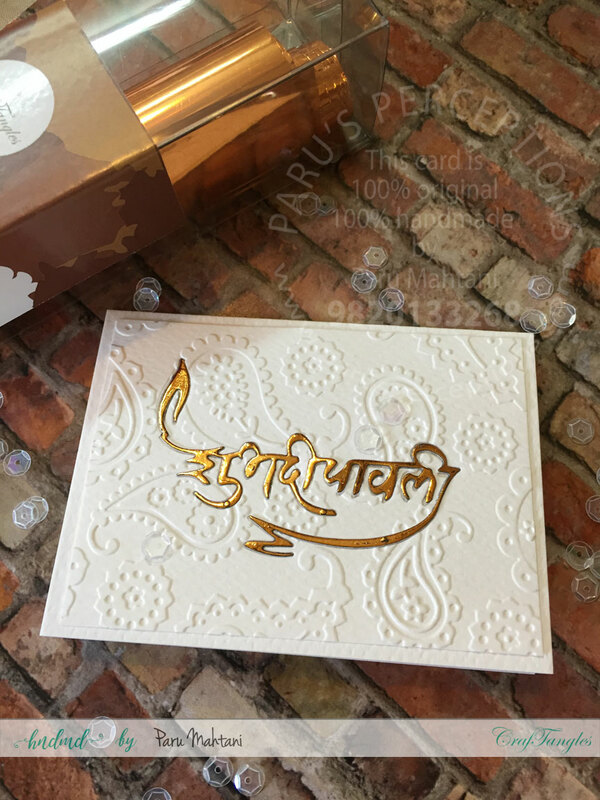 I have achieved best results by putting the laser printed image or heat embossed image through a laminator, along with the foil. 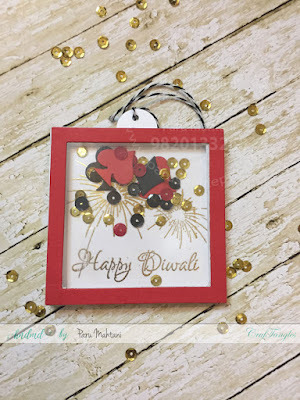 from Craftangles Happy diwali stamp set. For this card, I die cut the sentiment from a sheet of black toner paper...which is nothing more than a sheet of black that I printed out on my laser printer. I then used the Craftangles copper foil which covered this die cut so beautifully. I diecut the same sentiment from a background panel and then dry embossed the panel with paisleys. Finally I inlaid the diecut to complete the simple card. I finished it off by adding a few Craftangles clear sequins. 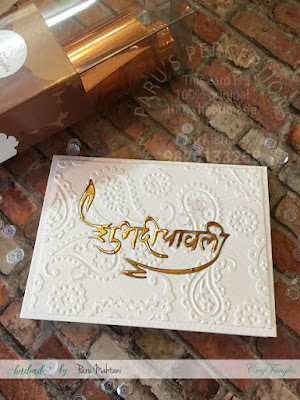 This card below, is by far my favourite! 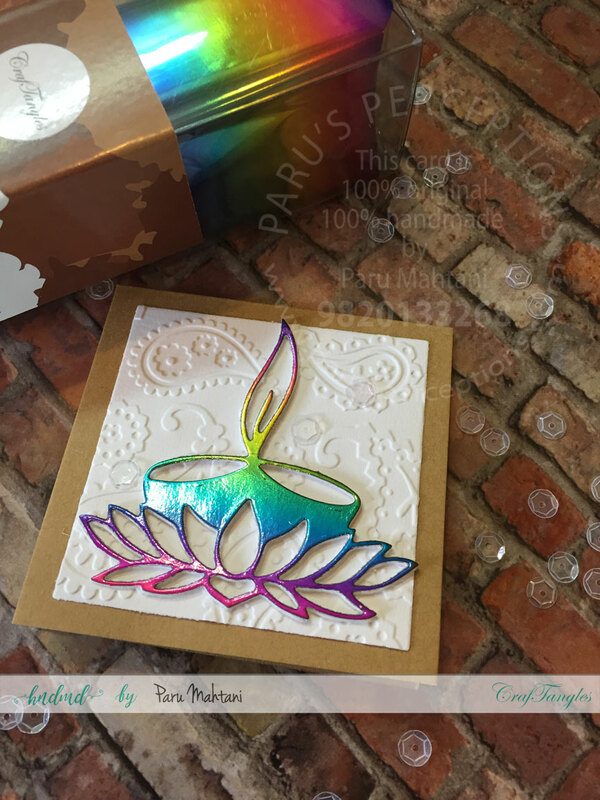 I die cut this beautiful diya from toner paper and then used the Craftangles rainbow foil to cover it. Once done, I diecut a piece of white fun foam with the same die and used it to pop up the diya on the dry embossed background. Here, I used the negative piece of the rainbow foil that I used above to create another diya. 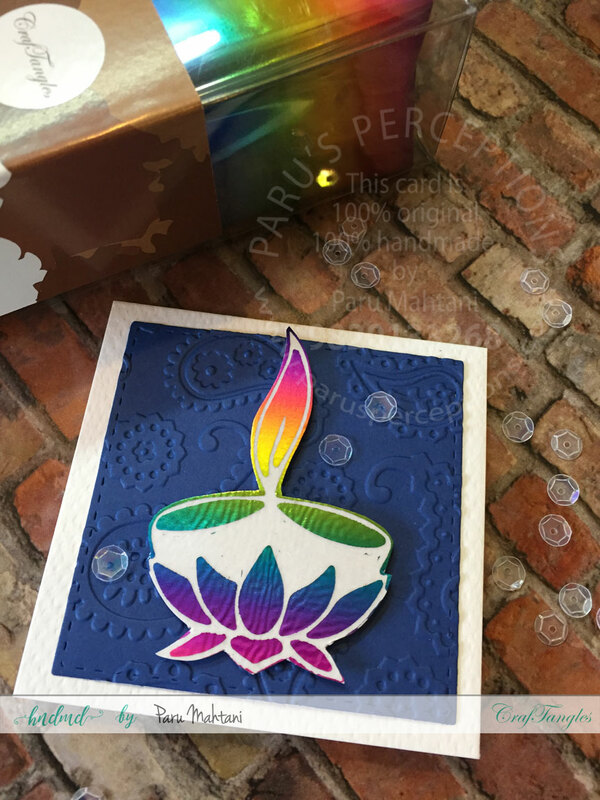 For this diya, I first clear heat embossed a piece of paper and then run it with the negative foil piece through the laminator. Once done, I trimmed the diya and popped it up on the dry embossed Craftangles sapphire blue card background with some foam tape. I finished both the cards with some Craftangles clear sequins. I hope I have inspired you to try out some foils and have some fun!